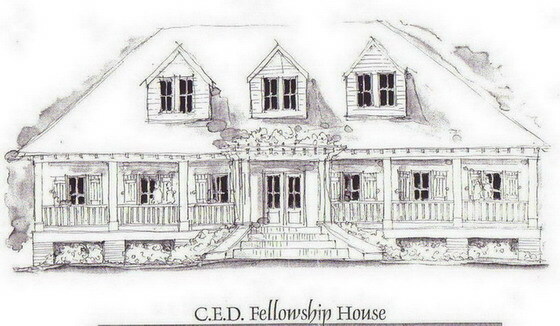 CED Fellowship House was established in 1968 to promote the educational, cultural, social skills of persons, primarily adult males, with physical, emotional, or mental disorders induced by excessive alcohol use, which does not render the person non-compos mentis and are not contagious, and who the Board of Directors feel the corporation can accommodate, to take their place in society, by providing them a home or other shelter, food, clothing, acceptance, understanding, and assisting them in a program of rehabilitation. John N. Simon C. W. Daugette, Jr.
We owe these men a great deal for their foresight and concern for those suffering from alcoholism and other drug addictions. October 17, 2018 marks fifty years of existence for our organization. We hope that whenever the suffering alcoholic/addict reaches out for help that we can be there for that person and offer them a place of peace and solace.